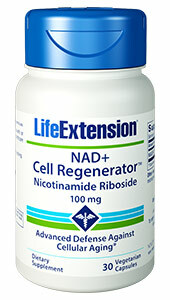 Known as "cellular dynamos," healthy mitochondria produce the energy that powers cells. As people age, however, mitochondria both lose function and decrease in number. 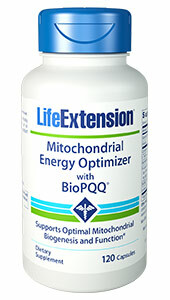 Life Extension’s unique Mitochondrial Energy Optimizer with BioPQQ® was formulated to enhance mitochondrial function, protect delicate cellular structures, power-charge metabolic processes, and aid in the creation of new mitochondria. Taurine. This amino acid supports neurite growth58 and powerfully protects the mitochondria59 from oxidative damage to enhance energy production within cells.58,60,61? Taurine is prevalent throughout the body62 and found in especially high amounts in the metabolically active cells that require high mitochondrial energy production (brain,62 nerve, eye cells,63 heart,64 and skeletal muscle65). Purchasing each of these potent ingredients individually would be prohibitively expensive. But Mitochondrial Energy Optimizer with BioPQQ® combines them into one cost-effective formulation that helps support healthy mitochondria.